In Dec 2014 Google rolled out its ‘Pigeon’ algorithm update in the UK. This local search algorithm was launched in the US in July of 2014. 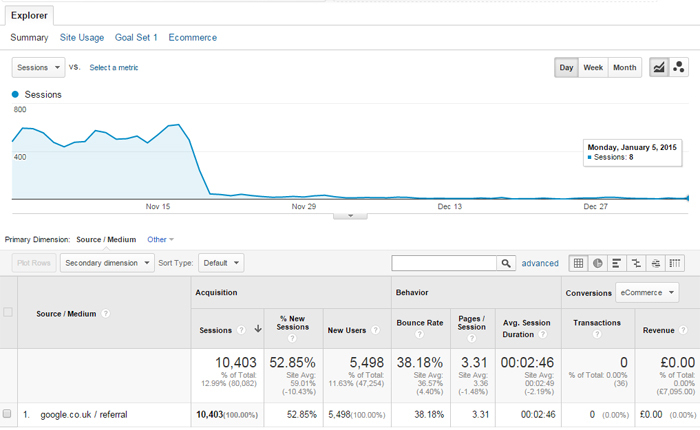 Although only confirmed to be rolling out in the UK in December, this sites analytics shows that Google actually started rolling pigeon out on Nov 17 2014. This algorithmic update from Google has been a bitter pill to swallow for local businesses who have spent time optimising their Google local business pages, to be slapped down by their proximity to the city center. 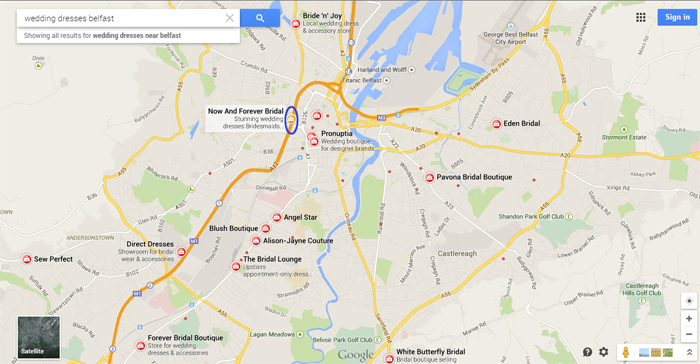 The aim of the ‘pigeon’ update is to provide more accurate local search results based on a localised search query. 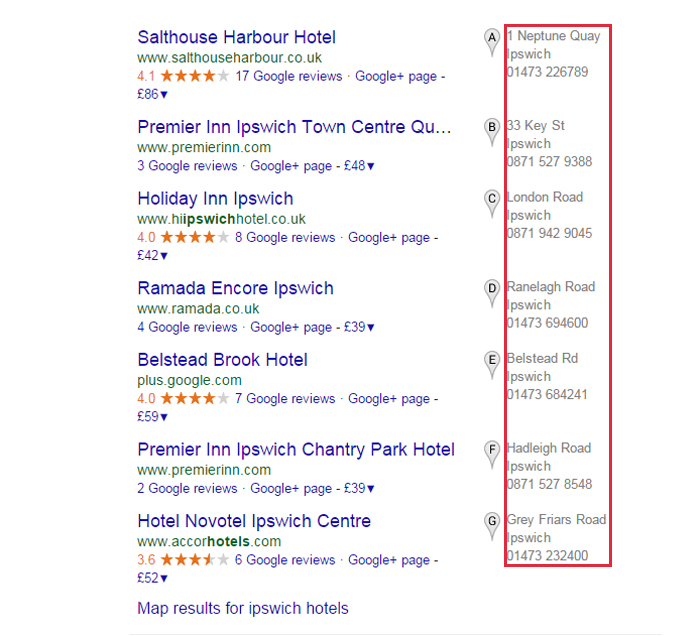 A Local search query would be ‘butchers in Northampton’, or ‘Ipswich hotels’, it has had a significant impact on these queries on Google Maps and the Local 7 pack provided in search results. Hardest hit have been businesses on the outskirts of an area, where they may have had a strong presence before they have been adversely affected by their proximity to the center of the localised term. This has also affected businesses that may be in a town or village, but still within a larger local area. I have also noted businesses being ‘ranked’ based on post code 1,2,3 within a city, even if 13, is closer to the central proximity. The RED circle shows business included in new results. The above Blue businesses do fall within Ipswich, however their postal address, includes a village thereby pigeon now excludes these previously shown businesses and replaces them with Ipswich centric results. Is Pigeon Update Using Post Codes ? I also suspect that in a central location, pigeon may be using post code hierarchy to filter results. This property marked in Blue was bought to my attention in the Google and your Business Forum. The business used to appear position 2 both in Maps and local 7 pack. If you look at the Map, they are pretty much central, however across the main road their post code is BT13 as opposed to the next business less then 200m away being BT1. Unfortunately coming back to appearing for central local searches may not be possible in Map results with the new pigeon centric algorithm that you used to appear for. 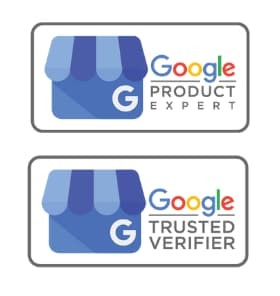 Google may at some point adjust this based upon authority of local business pages, but this seems unlikely for the foreseeable future. 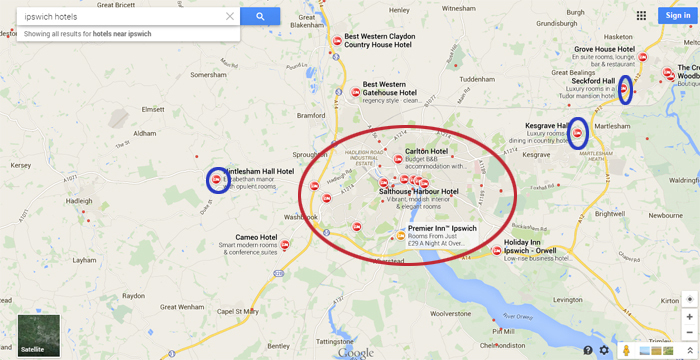 A location page should target one town, or one postcode and not offer an assortment of places. 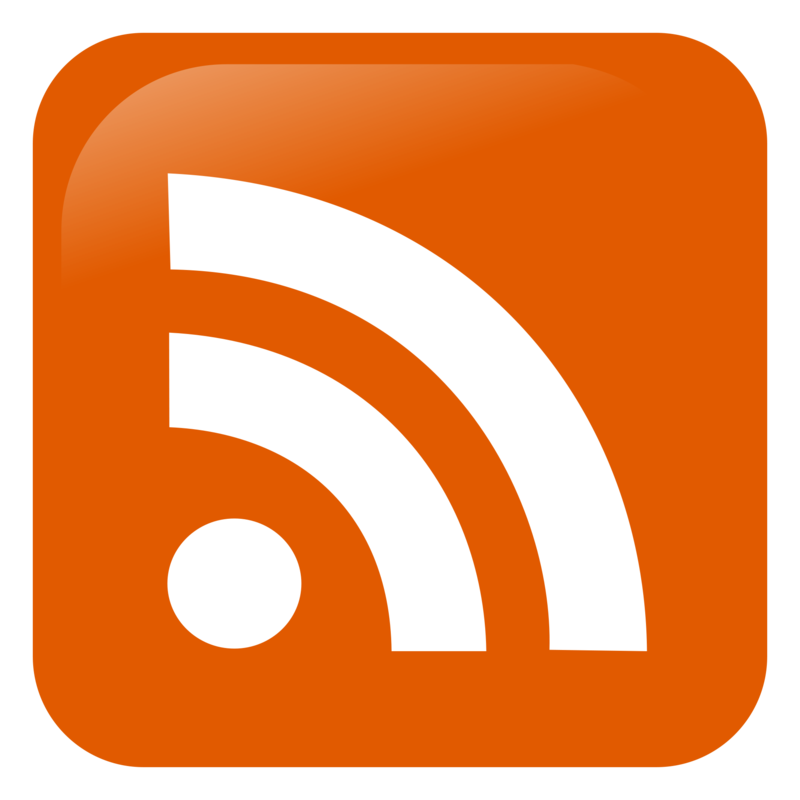 Contact Us for an informal Chat about your Local Business SEO.